In its search for “something that was a little more odor-friendly” and to save money over the long haul, the Lake County Forest Preserve District will invest $807,745 in restroom facilities and associated work. Lake County Forest Preserve District contracts PirTano Construction to rebuild restroom facilities. The forest preserve district board this week authorized a contract for $807,745 with the low bidder, PirTano Construction Co. Inc. of Addison, to replace 10 toilet buildings with nine new structures at the Greenbelt (one), Half Day (three), Old School (four) and Van Patten Woods (one) forest preserves. 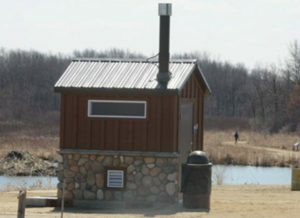 There are 61 “pit” toilets in the Lake County forest preserve system.